A new shareholder should be concerned about an open lawsuit because the outcome may pose a financial burden on the building. Not all lawsuits are covered by insurance policies and, therefore, the cost of litigation and a possible negative outcome could wipe out reserves or require a special assessment. As a new shareholder, you are now faced with funding these costs in addition to your regular monthly maintenance and mortgage payment. I suggest a shareholder get a legal opinion from his or her attorney as to the likelihood of a negative outcome, or get an opinion from the attorney representing the building. Buildings face lawsuits all the time for trips and falls, interior damages, etc., but they are often covered by the building’s insurance. 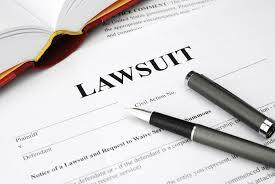 Lawsuits for claims of discrimination, sexual harassment, human rights violations, mold, asbestos, or fraud are usually not covered under these policies. That’s when the effect could be significant.